Sydney Finkelstein, speaker for CEO Trust’s upcoming SUPERBOSSES events, is featured in today’s Washington Post piece, “What makes a boss a ‘Superboss’.” Professor Finkelstein is the Steven Roth Professor of Management and Director of the Center for Leadership at the Tuck School of Business at Dartmouth College where he teaches courses on Leadership and Strategy. On March 22, Professor Finkelstein will discuss with The CEO Trust what makes a “superboss,” sharing fascinating stories of superbosses and outlining how we can emulate the best tactics of superbosses to create our own powerful networks of extraordinary talent. Read article below and click for event and registration info. for CEO Trust’s Greater Philadelphia and New York City chapter events. Most of us just want a decent boss. Someone who doesn't take credit for our work. Who doesn't mind if we don't immediately respond to an email sent after 11 p.m. Who actually asks us every once in a while how we're doing. 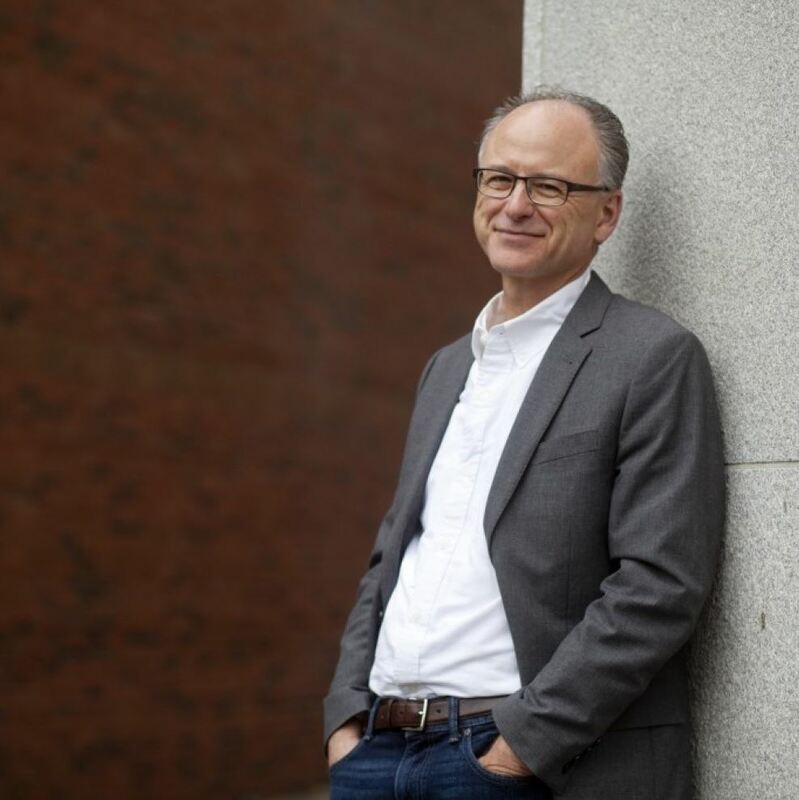 But Dartmouth business school professor Sydney Finkelstein decided to study what he calls "Superbosses" -- leaders who not only get their people to achieve great things but go on to become great leaders themselves. In his new book by the same name, Finkelstein examines the leaders who sit at the top of coaching trees, who inspired a generation of new leaders in an industry, and who've helped people move on to do their own thing -- even if it means letting them go. In the process, he examines the protégés and careers of leaders like legendary football coach Bill Walsh, who launched the careers of so many future NFL coaches; fast casual dining pioneer Norman Brinker, whose employees went on to found many similar restaurant joints; and fashion magnate Ralph Lauren, who helped along designers ranging from Joseph Abboud to Vera Wang. But don't get the wrong idea, Finkelstein says: "superbosses" are not necessarily nice, generous mentors. Rather, they tend to be motivated by their own goals, whether it's to win, improve their legacy, or better their own work or their own art. We spoke with Finkelstein about what we can learn from these "talent spawners." The conversation has been edited for length and clarity. How'd you come up with the idea for the book? I’m really into food. All kinds of restaurants. There was an article I was reading that showed a graphic of a famous French chef -- I wish I could remember who it was -- which talked about all his sous chefs and former sous chefs. It graphed out this tree, of how everybody went on after a period of time and worked at all these other really great restaurants, who used to work for this great chef. I thought 'that’s really kind of cool,' and I wondered whether that’s true anywhere else, so I started to poke around. I wanted to know who’s the best of the best, and that’s what got me to [Chez Panisse chef and founder] Alice Waters. The evidence is pretty overwhelming -- the number of chefs and bakers and restauranteurs who worked for her. I'd also heard stories in the past about [former San Francisco 49ers] coach Bill Walsh, and how he had a lot of former assistant coaches that had become head coaches. It turned out to be an overwhelming number. For everyone else, there was considerably less. 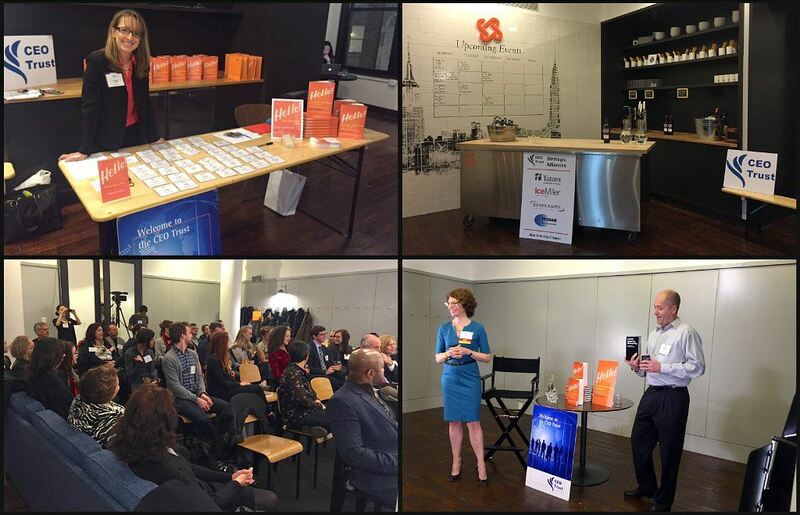 On February 2, our NYC Chapter met & mingled with fellow CEOs as well as hospitality industry leaders & business owners at CEO Trust’s event "Hello! And Every Little Thing That Matters: Impactful Ideas for Treating Your Customers Right." Speaker Kate Edwards, a 30-year veteran of the hospitality business, discussed her newly-published book and detailed how customer service can be your best friend, secret weapon, and brand ambassador all in one. How it can help drive sales while embodying your culture and vision, and how it can be a thoughtful, controllable representation of your brand that makes your business thrive. Snacks were provided by Noreetuh, a modern Hawaiian restaurant in the East Village, and Chef Chung Chow offered a delicious assortment of his signature dishes. David Bowler Wines provided red & white wines, and the bar stocked a variety of beers. All CEO Trust guests were treated to their own complimentary copy of Kate’s book, which she signed and personalized for all. And a highlight of the evening was the give-away to one lucky winner of the breakout party game "Cards Against Humanity." The event, attended by 50+, was hosted by Kate Edwards and held in collaboration with Journee at the stunning & stylish Journee Colab space in the heart of Flatiron. Founded in 2015, Journee is a members-only community made for the passionate people in food, beverage, and hospitality. On January 20th, members and invited guests of CEO Trust’s CT Chapter heard from innovation expert and best-selling author Bryan Mattimore on creating successful “cultures of innovation” within our companies. The creative, state-of-the art “incubator” space at Comradity in Stamford was the inspiring setting for the evening where we met & mingled with fellow CEOs over beer, wine & hors d’oeuvres during a reception before the program. During his presentation, Bryan then offered a host of successful methodologies, strategies, and techniques for improving creative problem solving and increasing innovation within our companies and teams. Using examples and insights gained from over 200 successful innovation assignments over the past 16 years, Bryan shared what’s worked for his clients. You change the culture by innovating; you do not change the culture to innovate. Involve people at all levels; invite the workforce to change the culture. Ideas create energy, loyalty, excitement, and talent. Bryan used real-world business cases to highlight major themes for successful innovation and culture change. One was: Find the right innovation tool, by working with the right internal and external teams, to address your needs and desires. It can be as simple as agreeing on what “good” looks like, to creating an idea generation and execution platform, to coming up with a new sales and growth strategy for your business. We all also learned a fascinating, simple and yet very effective tool called “semantic intuition” that we can adapt to pretty much any business challenge. It's a a creative word combination technique that allows participants to come up with new ideas by combining several categories of key words to create a name for the new idea. Other ideation tools discussed included: positioning continuums, the whiteboard technique, war gaming, and disruptive innovation. New connections were made and insights & strategies gained during this practical & applicable session on increasing innovation. A host of other HR challenges facing today’s C-Suite executives. The second theme (and much more fun) was hearing from CEO Trust members on favorite restaurant recommendations. Here are a few: For those who awake in the middle of the night with a langoustine craving - Vilamoura, in Johannesburg, South Africa, is the place for you. Going to the theatre in NY and looking for a fun dining experience? 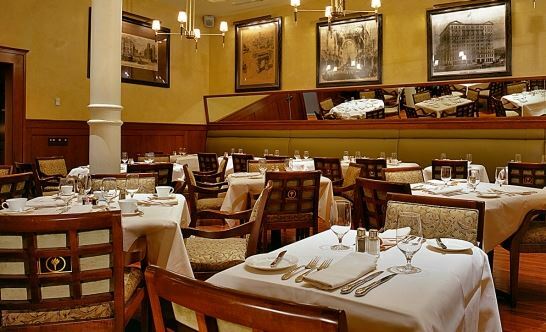 You may want to try Café Un Deux Trois or DB Bistro. In London and craving Sushi? Try SushiSamba (also with locations in NYC and elsewhere). On the upper east side in NY and craving Sushi? Try Ko Sushi, or stay in the area for Mediterranean at Beyoglu. Planning to visit Philadelphia? You may want to try Osteria on North Broad Street or Lo Spiedo in the old Philadelphia Naval Yard (near the sports arenas). The evening was a big success and we made sure everyone was home in time to watch Alabama and Clemson in the national college football championship. Thanks to all the participants and to CEO Trust for arranging a great event. The Dallas/ Ft. Worth Chapter of CEO Trust enjoyed a private tasting and insider’s view of the science of wine and winemaking in Texas at Inwood Estates Winery. Dan & Spencer Gatlin, Inwood Estates’ founder & son, hosted us in their Dallas barrel room and provided fascinating insight into their history and the state of winemaking in general. The evening was a wonderful opportunity to not only learn about wine, but enjoy a glass (maybe a couple) while mingling with friends and fellow CEOs throughout the evening. Thank you to our host, Tribridge, for helping bring this event together and the wonderful spread of food that was so enjoyed! 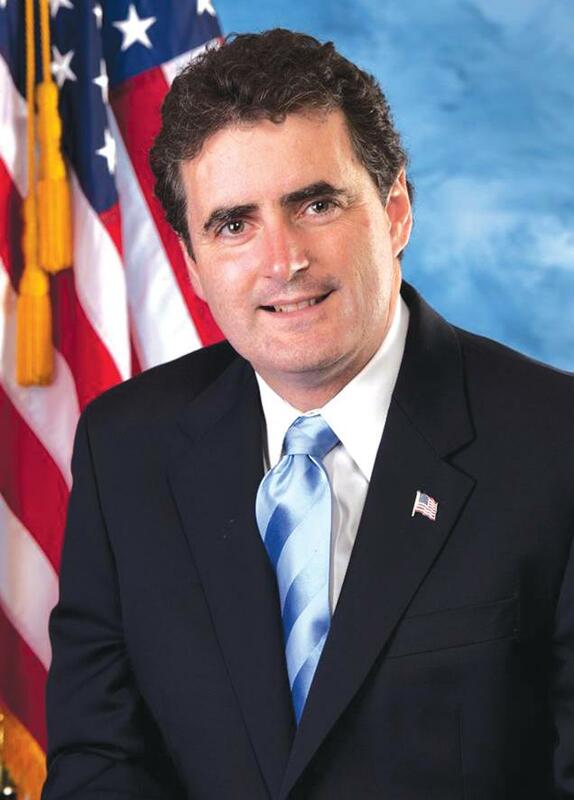 On Tuesday, November 10, members of the Philadelphia Chapter held an engaging and informative discussion with Congressman Mike Fitzpatrick. The Congressman shared his unique insights and perspectives on leadership and the challenges and issues faced in the current Congress. He also gave an intriguing and insightful update on the current issues and events in the Nation's capital. The Congressman is a member of the House Financial Services Committee and is vice chair of the Subcommittee on Oversight and Investigations. He plays a important role in the efforts of the Congress to combat terrorism. While his comments were made prior to the tragic events in Paris, France, his advice and insights now resonate and take on greater meaning and significance. The Congressman shared his insights on the work of the Congress and Federal agencies to understand the flow of monies being used to finance terrorism. Cracking these financial networks is crucial to efforts to contain and combat terrorism. The Congressman also reviewed his efforts to fight for stronger borders, lower taxes, smaller budget deficits, and his efforts to recognize the contributions of our deserving Veterans. He is clearly a strong voice and advocate in the Congress for business and for his constituents. The Congressman responded to many questions from our members and our dialogue was relaxed, candid, and informative. The meeting was very engaging and productive and many thanks to the CEO Trust, Chuck Steege, and our host, the law firm of Stradley Ronon, for arranging another excellent event. By CEO Trustee Don Springer, President and CEO of The Colton Group, Inc.
Is ISS, and other governance watchdogs, leading us to mediocrity and sub-par shareholder returns? Speaking at a recent NACD North Texas event, Marc Hodak, noted compensation advisor, teacher at NYU Stern School of Business, and CEO Trust member, promised we would hear something we had never heard and he completely fulfilled that promise. Co-sponsored by CEO Trust and UT Dallas’ Institute for Excellence in Board Governance, the well attended event provided board directors an opportunity to hear the latest compensation research set in a context of expert and candid advice. 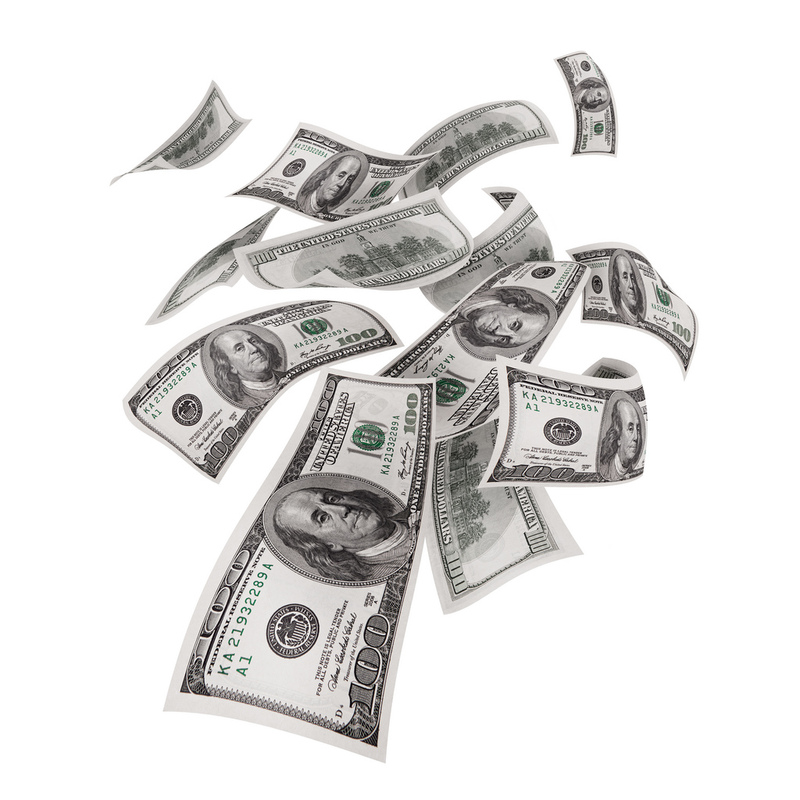 What is the value of equity to managers? What is the value of management equity to investors? What to do about “underwater options”? How should incentives be awarded? The research findings for each were startling, especially in the context of most board room compensation discussions today. Boards predominantly “benchmark” their compensation plans asking questions about their peers and ISS guidelines rather than asking key questions about how a plan would truly motivate revenue growth and cost improvements over the shareholders’ investment horizon. Among the findings, companies with uncapped bonuses significantly outperform their industry peers and no research study has contradicted this. On the other end of the “incentive curve”, thresholds have stimulated extreme behavior to cross the line at best and scandals like Enron and WorldCom at worst. Additional research findings contradicted the standard practices of “non-performance” pay, handling underwater options, budget-based management incentive plans, and others. Once the empirical data was established, Marc continued by providing a general framework for compensation plans that do, in fact, increase shareholder value and properly incentivize management, as well as the entire workforce. They hinge on single metrics such as net income, earnings, or EVA, and support longevity to reinforce profit building behavior. Focusing on standards at the exclusion of research data and market dynamics can lead to unproductive compensation plans. Marc also candidly added that focusing on proxy approval can create continuing engagements with many compensation consultants as the standards ebb and flow. As directors in attendance, we recognized a need for incentives that truly promise rewards to drive behavior for the benefit of the shareholders. Now armed with new information, we will be wary of an advisor who merely monitors an ISS checklist for proxy support. Instead, we will prefer a research based compensation advisor to help guide the development of a value based plan. Bryan Mattimore, co-founder of the innovation agency Growth Engine and a CEO Trust speaker, was a featured expert in this recent Inc. Magazine article. Read on for some excellent productivity tips shared by Bryan and other experts in the field, and check out Bryan's upcoming CT Chapter event “Five (Effective) Ways to Build a Culture of Innovation” on January 20th. Which one of these 30 tips will help you get more work done today? These productivity experts have each shared their best tip to give you a jumpstart. The time you invest in reading these will pay off in dividends as you apply the ideas to your daily routine. Do they work? Let me know by email if you find success. On Tuesday, October 13, I attended "Working Effectively with Private Equity - What You need to Know" at the Marriott Marquis in NYC. Owners selling their company to PE; both full sale and partial sale of owners equity. The function/role executives seeking to work with and possibly partner with PE for regarding ideas/deals in an executive's industry. Including the possibility of executive becoming a retained sponsor for a PE firm to source deals in the executive's industry/area of expertise. The vital importance of sellers due diligence on any potential private equity buyer of their company to ensure the best "fit" and alignment of interests. Deal structure, particularly PE capital structure in acquired companies has grown more sophisticated and complex. These more complex structures can have a significant impact on the value of any remaining minority interest the sellers may maintain. These more complex deal structure also impact executives equity participation/value upon sale of a PE owned company........executives should pay special attention to the PE company's capital structure and executive compensation plans. The structure and pace of this event was excellent as the panel covered the myriad of subjects. The panel easily engaged all of us in the audience as there was great give and take from the many questions asked of the panel. Many thanks to CEO Trust for organizing another great event, and a special thanks to the panel for making their time available for us. It was a perfect evening and setting to join Jeremy Cage at the Wilson Cove Yacht Club on September 24 for the CT Chapter’s most recent event. During “Courage: Unleashing Your True Potential” Jeremy shared his adventures of sailing around the world with his wife and two young children and the life lessons he took from that experience. Approximately 15 CEO Trust members and guests enjoyed delicious appetizers, drinks, and a lovely sunset during a mingling reception on the club’s wraparound deck overlooking the marina. Afterward, all moved inside to the inviting clubhouse lounge for Jeremy's presentation.